MGM Resorts International and Boyd Gaming Corp. ended weeks of speculation on Monday by separately announcing partnerships with bwin.party digital entertainment — a U.K-based company that owns PartyPoker and the World Poker Tour brand — to offer Internet poker in the U.S. if federal legislation passes to license and regulate the industry. Under the agreement, the Vegas-based casino companies would jointly operate an online gaming company of which the publicly-traded bwin.party would own 65 percent. 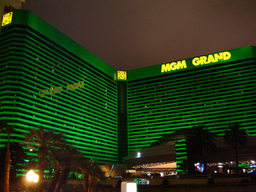 MGM would control 25 percent, and Boyd would own 10 percent. Both MGM and Boyd would be licensed to run their own poker sites through bwin.party’s technology and software. “As leaders in the industry, we are confident in our ability to deliver a safe gaming experience of the highest regulatory integrity with brands consumers have grown to know and trust over many decades,” said Jim Ryan, CEO of bwin.party. Monday’s announcement comes about two years after then PartyGaming reached a non-prosecution agreement with the Department of Justice. As part of the agreement, PartyGaming paid $105 million in fines with the assurance that the U.S. government would not prosecute the company for operating in the U.S. prior to the enactment of the UIGEA, legislation which caused the company to leave the American market. Nevada Control Board member A.G. Burnett told Card Player that despite past troubles with U.S. authorities, there will be nothing that automatically prohibits sites like PartyPoker from being found suitable to operate in Nevada on behalf of a land-based license. The Associated Press reported that Ryan has been gearing up to deal with regulators. Nevada is currently in the midst of drafting regulations for a future online poker system based in the Silver State. jane. Will be same problems.